Removable thermal insulation covers are used to cover valves, flanges, instrumentation panels, and other components, as well as process piping. Unlike permanent hard insulation, soft insulation covers have the advantage of being removable and reusable, making them the insulation of choice for components that need to be accessed from time to time for maintenance and inspection. While removable thermal insulation covers are typically one of the last items to be installed before a facility goes into production, they are a critical component when it comes to site safety and system stability. 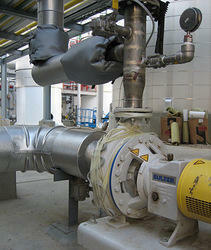 - Unnecessary process adjustment due to heat loss. - False readings or alarms being sent to the control room. 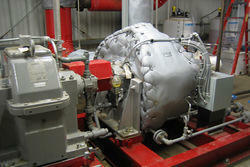 - Equipment failures due to operation outside of normal temperature ranges. - Degradation of product quality due to improper process temperatures. 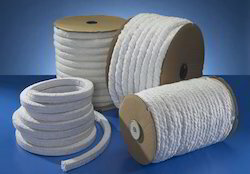 With impeccable strength, resistance to fire and durability, the offered range of Insulation Ropes is known to be one of the finest that are available in the market. This product, with its standardized quality and reasonable pricing, is known to be highly praised and preferred throughout the market. Diameters: 10, 15, 20, 25, 40, 50 & 60 mm. Types of Cover: Glass braid / Stainless steel braid cover. Typical Applications: Expansion joints, furnace doors, exhaust pipe lagging, insulation of power house, marine and steam pipes. Diameter: 3, 5, 6, 7, 8, 10, 12, 20, 25 and more. Lengths: Standard small sizes are normally supplied in coils of 50 meters. Types Available: Soft and Hard. 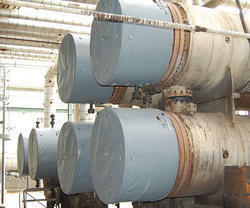 Removable exhaust system insulation covers are the perfect partner for emergency generators and power sources utilized in close environments or conditioned space. Our exhaust system insulation blankets, also known as exhaust system insulation covers, are custom-fabricated for gasoline combustion, diesel or natural gas systems, handling temperatures ranging from 500 degrees on up. Our designers custom-fabricate removable, long-lasting exhaust system insulation covers give a great fit while standing up to the toughest temperatures and elements. We are among the most trusted companies for providing Pump Thermal Insulation Cover to the clients. Pump Thermal Insulation Cover is manufactured from superior quality raw material contemporary technology in compliance with industry set standards at our client's end. This product is thoroughly checked on several parameters by our quality analyzer under the guidance of skilled professionals who are perfect in this field. Offered range is available in different specifications as per the requirements of our clients. This product is widely used in various commercial and residential buildings. Offered to clients at the best rate possible, the range of Mineral Insulated Cables is known to be highly praised and preferred in the market. Manufacturing of this range is done in accordance with the set industry norms and guidelines, utilizing the finest raw materials and modern machines. Owing to this, the offered product is marked at the most reasonable rate possible. 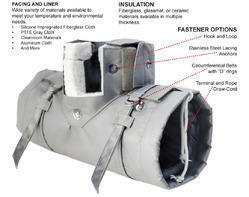 We offer to make valve insulation covers to fit any type or model of valve manufactured today. Also called valve insulation blankets, our time-saving, removable valve insulation covers are custom-designed to guarantee a tight fit, durability and a high-quality appearance. Our removable flange insulation covers allow you to take apart flanges on equipment and piping systems without the worry of properly re-insulating afterwards. 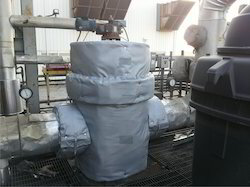 Also known as flange insulation blankets, our custom-engineered, removable flange insulation covers do the job easily with zero materials costs and very little labor expense. Our strainer insulation covers are designed to remove and replace easily, helping to streamline the demands of cleaning strainer baskets frequently. Our custom-engineered removable strainer insulation blankets — also called strainer insulation covers – deliver long-lasting convenience and ease that help keep the job on track while saving energy costs. Our removable exchanger insulation covers are fabricated to withstand a wide range of temperatures while drastically preventing energy losses. 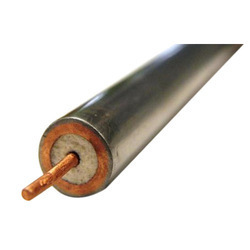 Our removable exchanger insulation blankets, also called exchanger insulation covers, allow easy access to the exchanger for resolving such issues as corrosion, clogs and leaks. And since exchangers require frequent upkeep, custom-fitted Fit Tight exchanger insulations covers are the most practical answer to quick access and easy, effective re-insulation.